The Philippines sees Japan as a potential counterbalance to the rise of China, its foreign minister told a newspaper, as smaller Asian nations worry about Beijing's military might and ambitions as tensions grow over conflicting territorial claims. 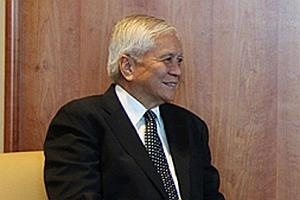 "We would welcome that very much," Albert del Rosario told the Financial Times an interview published early on Monday. The paper said he was responding to a question about whether Manila would support a rearmed Japan. "We are looking for balancing factors in the region and Japan could be a significant balancing factor." The Philippines and China have conflicting claims to territory in the South China Sea. Vietnam, Brunei, Taiwan and Malaysia also have claims to parts of the sea. 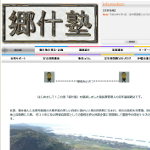 Copyright © 定年憂国親父のひとりごと（甦れ！「郷中」の教え、「什」の掟） All Rights Reserved.